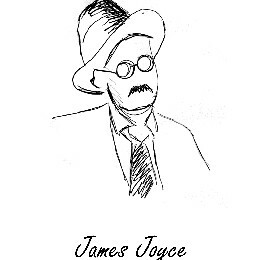 Bloomsday is a commemoration and celebration of the life of James Joyce, during which the events of his novel Ulysses set on 16 June 1904 are relived. After a week of celebration, on Friday 16th James Joyce Tower & Museum will open early (8.00 am) to allow visitors to start the day as Stephen did – at the Sandycove Martello Tower. There will be a terrific line-up of events including readings by Bryan Murray from ‘Ulysses’, Caitríona Ní Threasaigh will come back to perform during the day and, of course, there will be lots of chat and craic throughout. From 2pm-7pm a troop of actors will perform 7 mini-scenes in different venues in the village. Readings from Ulysses at The Rathgar Bookshop and The Vintry. Wine and Gorgonzola at The Vintry around 4pm. AIB Rathgar and The O’Brien Press hosting a reception from 6pm. Lemon Tarts served at The Butler’s Pantry. “A Play on Ulysses” on Bloomsday at the Village Cross 6-7.30pm, bringing drama, humour and music straight to the heart of Blackrock.